Info, typology and prices Czech 10 days, 1 month, 1 year. For drive in the Czech Republic, and circulating on certain motorway sections, it is necessary to purchase the special sign, called Dálniční známky. This is a special prepaid sticker, mandatory for all vehicles up to 3,5 tons of weight. 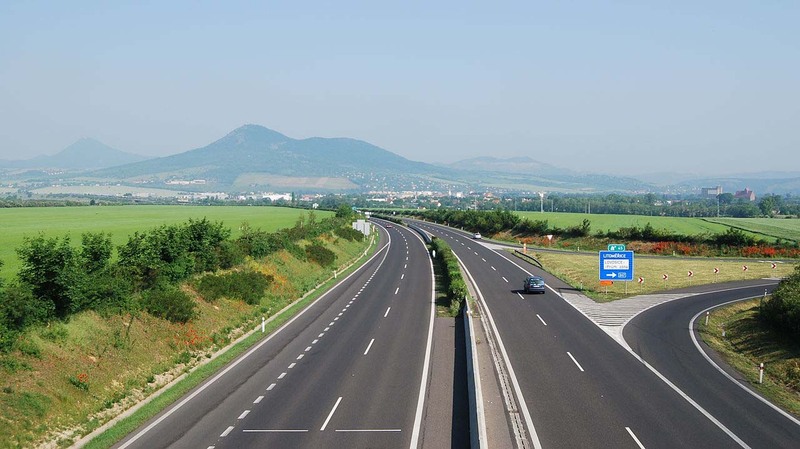 The Czech Vignette must also be purchased for just crossing a short road section. The motorway sections that do NOT require the use of the Vignette, are identified by a special sign, at the entrance to each motorway junction. It is a road sign on a white background, with a red cross strip; this rye is placed below the green colored sign indicating the entrance to the motorway. The Czech Vignette is available in three different denominations, varying according to the duration from a minimum of 10 days to a maximum of one year. Each stamp is identified by a specific color. The mark consists of two divisible parts. The first, to be detached, must be exposed on the windshield of the car. The second, constitutes proof of purchase, and must be kept. Desetidenní kupón (označení D). Valid for 10 days from first use. Costa 310CZK. Měsíční kupón (označení M). Valid for 30 days from first use and costs 440CZK. Roční kupón (označení R). Annual mark valid until 31 January of the year following the purchase. Costa 1500CZK. fuel stations on motorways. Cross the border, you will find them after a few kilometers. the post offices of the Czech Republic. The stamps are not for sale on national roads and RSD roads. Remember to pay by credit card to avoid the surcharges applied in the conversion rate.